Ornate round grey occasional table, garden furniture. French inspired table for garden dining and display. Round table top with ornate fretwork surrounding the tabletop. Perfect for placing out in the garden this summer. Make your garden pretty this summer with our fantastic selection of garden furniture, featuring benches and bistro sets. Ornate round grey occasional table, garden furniture. French inspired table for garden dining and display. 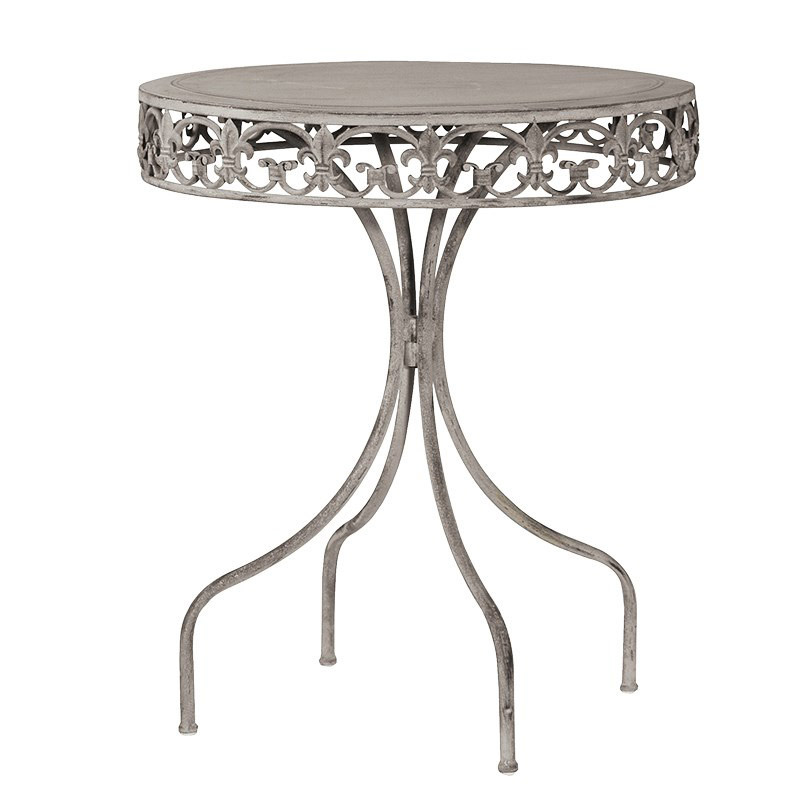 Round table top with ornate fretwork surrounding the tabletop. Perfect for placing out in the garden this summer. Make your garden pretty this summer with our fantastic selection of garden furniture, featuring benches and bistro sets. Made from metal in a rustic, brushed grey finish.